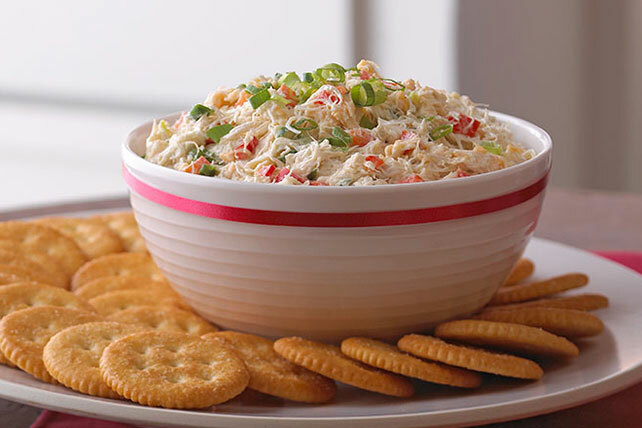 Sweet, tender lump crabmeat in a creamy spread with green onions and red peppers makes for an upscale appetizer spread. Reserve 2 Tbsp. onions. Mix remaining onions with all remaining ingredients except crackers. Top with reserved onions. Serve with crackers.